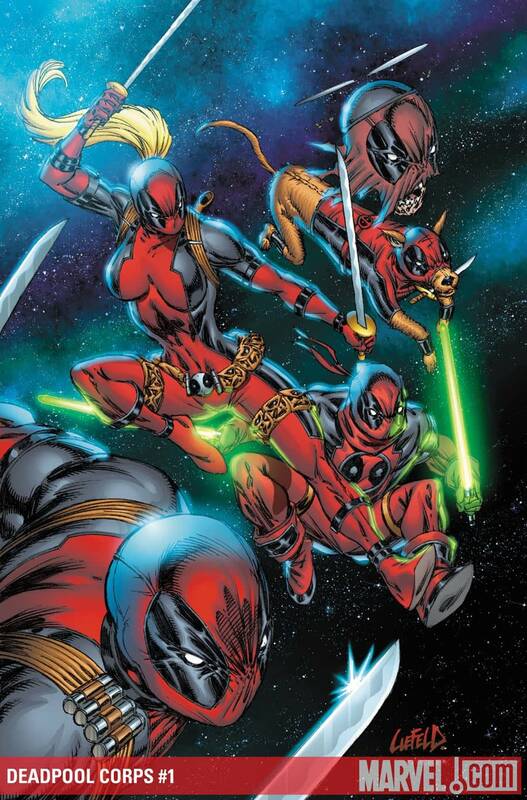 They are both Rob Liefeld’s finest creations. 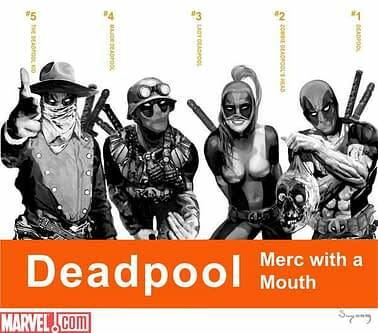 And Deadpool especially is finding success, a film on the way and the character supporting four monthly mini-series. where once the character failed to keep even one going. So naturally Deadpool was on hand to change the name of Cable‘s final issue, to Deadpool And Cable, to see his old friend out. 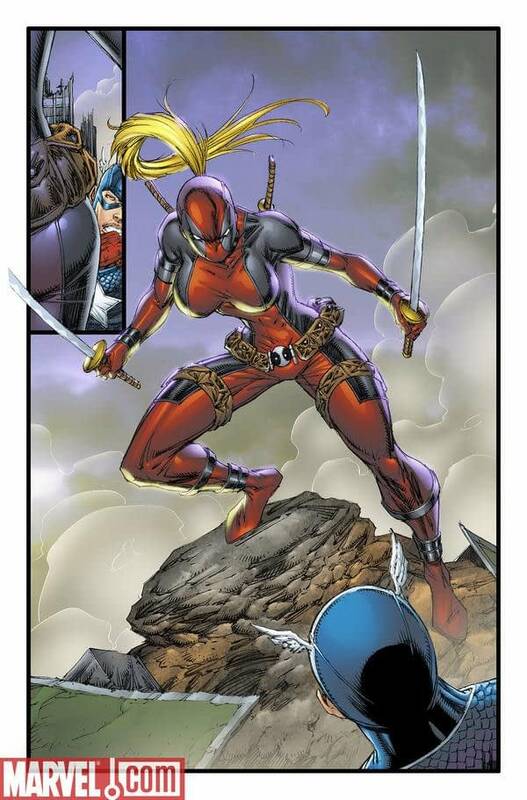 And who better than Rob Liefeld to see them out than by giving them a final cover? But of course, that’s not the end of it. 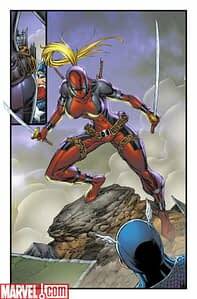 Rob Liefeld has been twittering with joy the various Deadpool-styled characters who will be populating the Deadpool Corps book, Headpool, Kidpool, Dogpool and Lady Deadpool. And now we know why. He’s drawing the book. 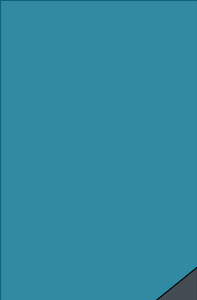 And yes, so far, it seems to be on time. Oh and in related news, X-Men Legacy is still called X-Men Legacy. How soon before that changes?